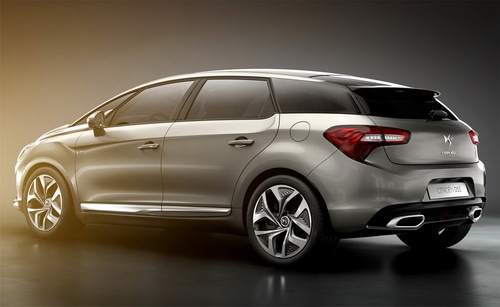 2011 Citroen DS5 has been revealed at the 2011 Shanghai Auto Show after the previous teaser image leaked on the web. The new 2011 Citroen DS5 will be equipped with a four-wheel-drive system and powered with the HYbrid4 diesel hybrid technology which results a 200 bhp power output. 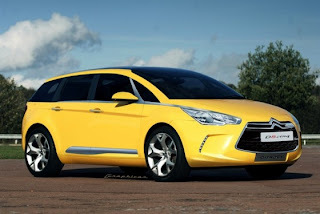 The company also said that the new 2011 Citroen DS5 has a CO2 emissions level of 99g/km. 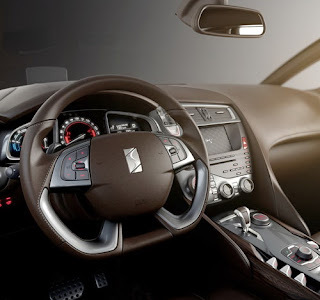 2011 Citroen DS5 is a four door, five seat vehicle that has a 465 liters luggage capacity which offers a driving position similar to the one offered by a Gran Turismo coupe. With its compact body, 1.85m in width, and 4.52m in length, 2011 Citroen DS5 has a body style which blended of various models such as an estate and a hatchback model. 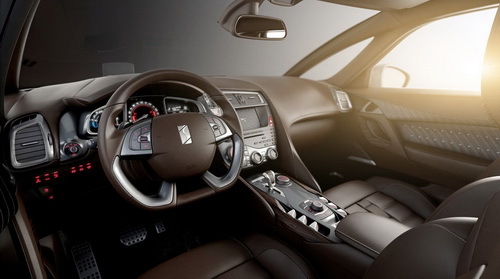 2011 Citroen DS5 prototype which displayed on Shanghai Auto Show using a bespoke interior and a one-off White Pearl exterior finish while it sits on 20-inch alloy wheels. 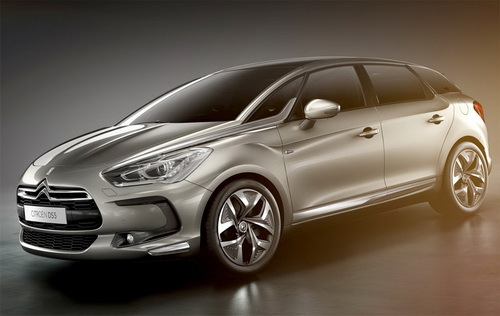 The new Citroen DS5 also comes equipped with the two tail pipes integrated into the rear apron, LED lights, and oversized air intake. While on its interior, 2011 Citroen DS5 gets a fine-grain Club leather upholstery, ambient lighting, and a color Head-Up Display.